It’s the time of year when folks are looking for more Budget Friendly Meals, BUT in my house, we need budget, quick and easy meals year round as we are a very super busy family! 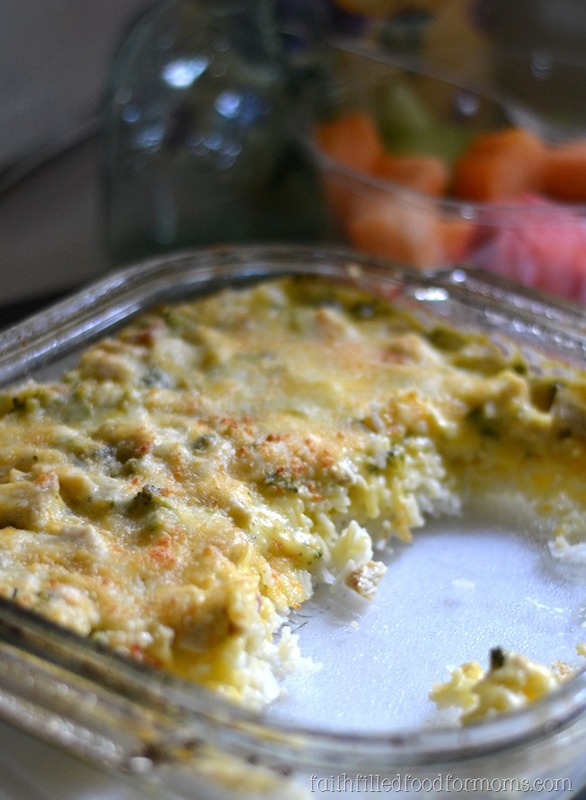 This Cheesy Broccoli Chicken and Rice Casserole meal is something that I have literally made for YEARS! 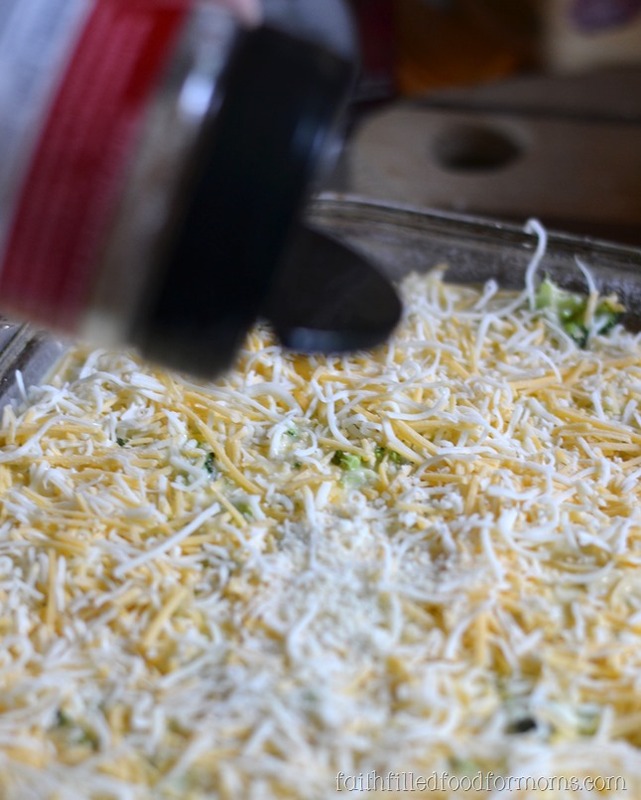 This yummy recipe is something that never gets old, it’s super quick (20 minute quick! ), can be varied, frozen and makes great leftovers. Oh and it’s VERY INEXPENSIVE! I just want to say that if your kids hate broccoli or veggies, then I’ve found that chopping super duper fine in a blender works great. I did this for many years when my kids were young! They didn’t hardly know there was broccoli in this recipe! 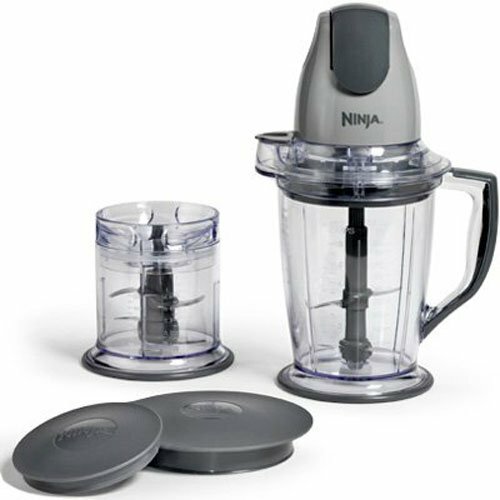 I use a Ninja Blender to do the trick and it’s done in seconds! 2 So now on with the recipe! So now on with the recipe! 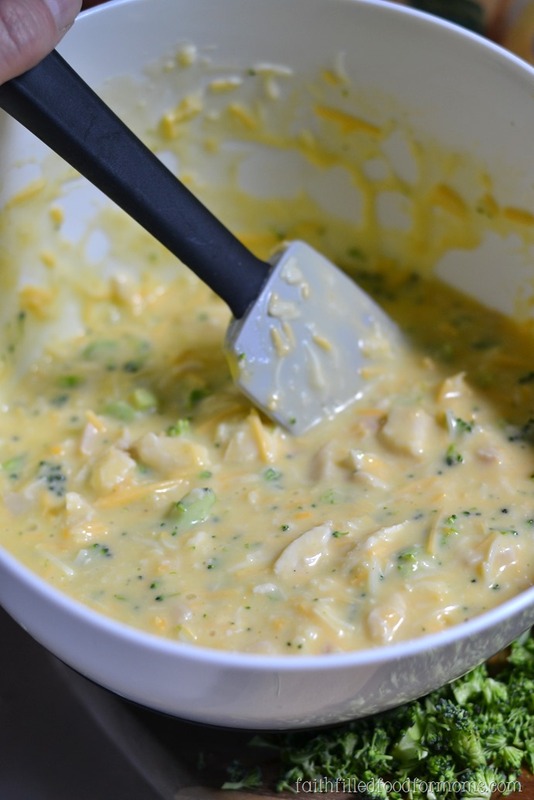 In a large bowl mix: Cream of Chicken soup, milk, all of cheese but 1/2 cup, broccoli, chicken and curry.. if using. Right here you can do one of two things..bake the sauce alone and then top onto Minute® Rice OR bake right on top of precooked Minute® Rice..which is how I cooked it last night. Trust me, either way it’s deelish. It’s really a matter of preference. 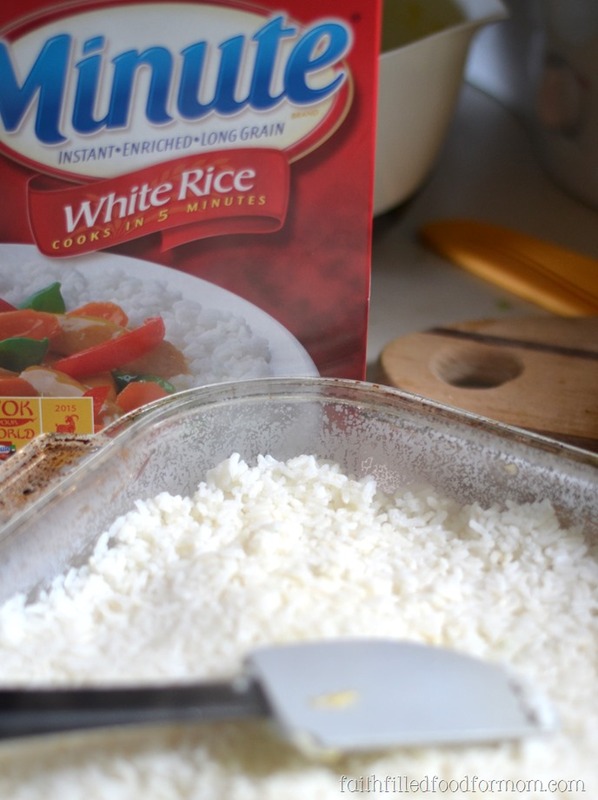 Put cooked Minute® Rice into casserole dish. I cook my Minute® Rice in the microwave while I quickly get the other things chopped and stirred. Oh so easy and I don’t even have to monitor. 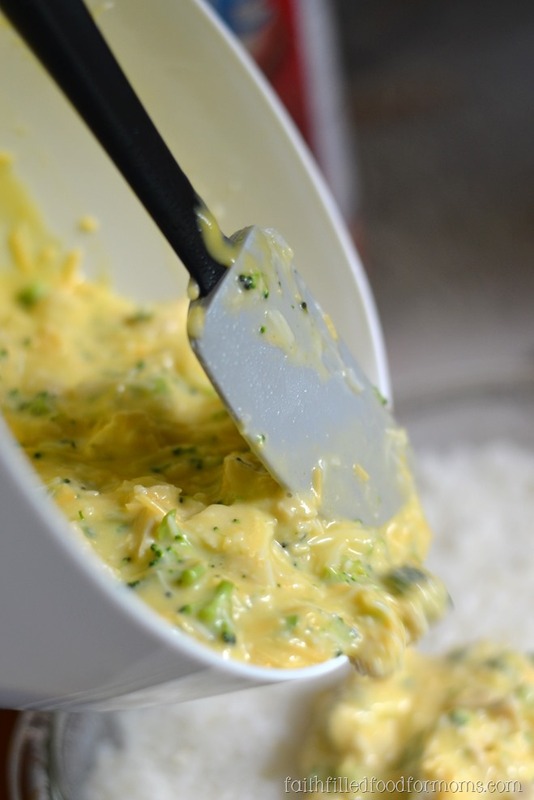 Top with Cheesy Broccoli and Chicken sauce. Now pop it into the oven and bake at 450 degrees for 15 minutes. 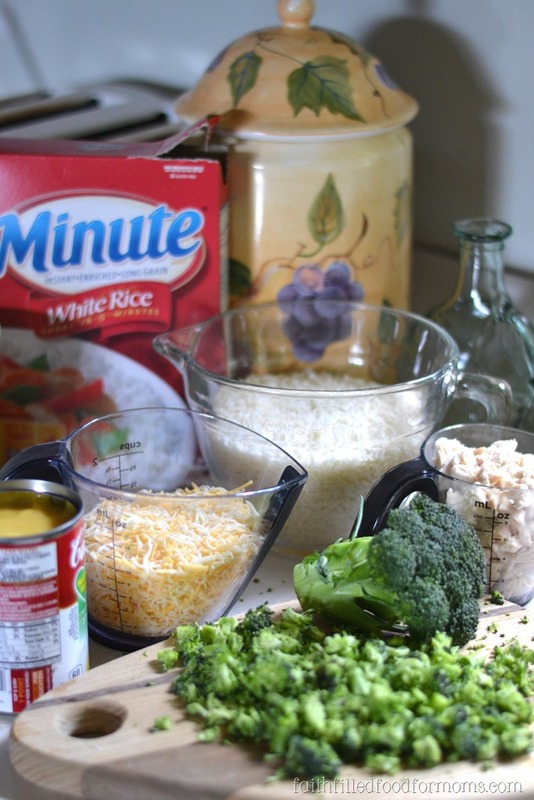 Minute® Rice has been a staple in our pantry for years and years. My kids have loved it forever because it’s all fluffy LOL and I love it because of those super busy nights I need to fix something quick that is wholesome and filling. Since my husband has a Gluten intolerance, I love that the white and the brown rice are both Gluten Free. You don’t have to just stick with plain white and brown rice either because Minute® Rice now has Minute Multi-Grain Medley with Thai red rice, wild rice and quinoa. These cook up in about 10 min. so they are super fast also. 1/8 tsp. Curry ~ optional but tasty! I just love your Cheesy Broccoli Chicken and Rice dish, it is so comforting. Hope you have a very special Mothers Day weekend and thanks so much for sharing with Full Plate Thursday this week. Thank you Miz Helen! I hope you a wonderful Mothers Day as well. This little casserole is a great comfort food isn’t it..so yummy and easy 🙂 Thank you for taking time to stop by and have a great week! I’ve made something similar for years too and like to have casseroles in the freezer however find the rice doesn’t freeze well. Suggestions? Hi Julie! I usually only freeze the Chicken and Sauce. You are right..the rice doesn’t keep real well BUT I have had success with way under cooking my rice and then freezing a whole casserole. Only with long grain, not the Minute Rice. Yes we do a more homemade dish sometimes too..but with our busy schedules the Minute Rice speeds things up in a pinch and it still tastes yummy! Thanks for stopping by! It’s great isn’t it Sara. So quick and no fail! Thanks for stopping by! I love the sound of this recipe! I can’t wait to try it. 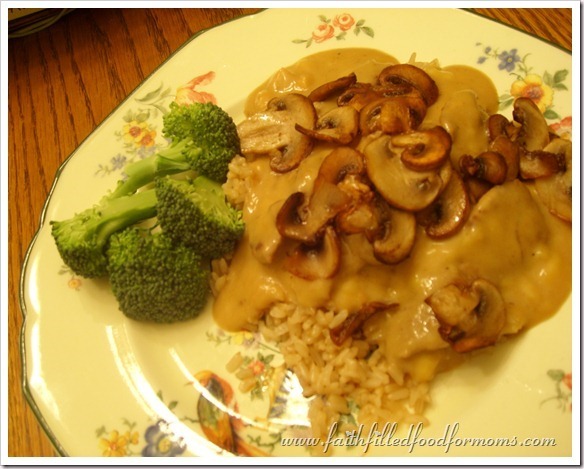 Swinging by the Delicious Dish Tuesday link up. 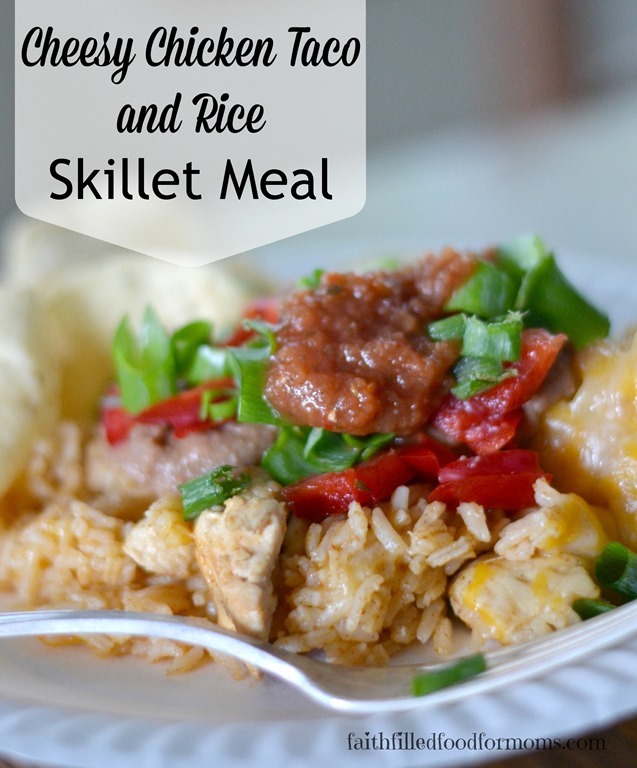 I love quick and easy dishes like this, it sounds delicious! I like both the white and brown Minute Rice. Me too Joy! Thanks for stopping by! I like the Minute Rice instant brown grain rice.